The year is coming to close, yet, the excitement doesn’t seem to be slowing down anytime soon. 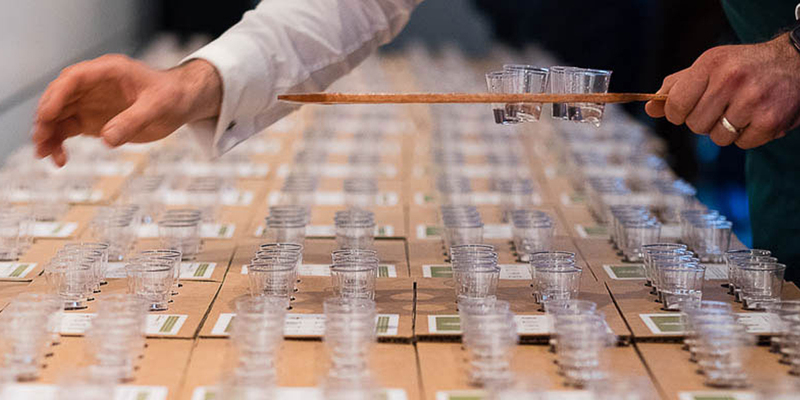 The Tokyo Whisky Festival showcased the rise of tiny, passionate whisky distillers, while over in London, the Spirit Show brought forth craft as a whole. Our team made sure to show the London crowd what Japanese gin is all about. 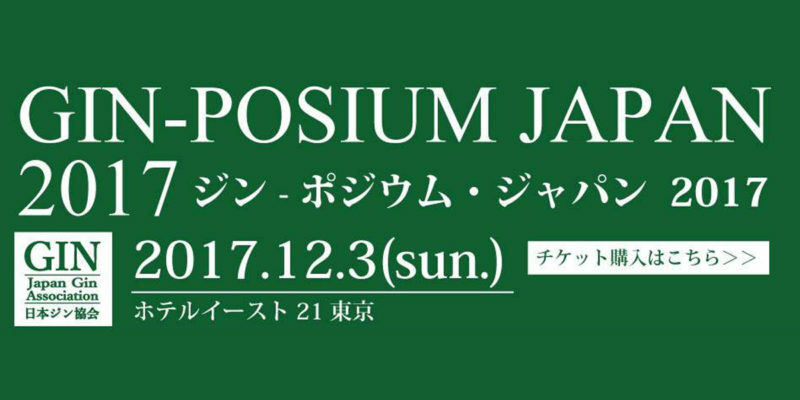 Just one day later, on December 3rd, the very first Gin-Posium event took place in Tokyo, by by the Japan Gin Association. Yep, only over a year after artisanal Japanese gin emerged, and there’s a wonderful association dedicated to preserving the culture and passion behind the movement. Running from 13:00 to 18:00 the first part of the event comprised of educational seminars, while the second half consisted of tasting, mingling, and getting gin-tipsy. A brief introduction to the Japan Gin Association kick started the event, followed by the great Angus Winchester, former Tanqueray global ambassador and champion cocktail bartender. Guests were given an in-depth rundown of gin’s history over the centuries. Thoughts on gin’s image globally and what to expect in the near future were also explored. The talk was followed by a flight of 4 gins, some of which aren’t available domestically. Namely the Old Duff Genever and Nolet’s Silver Gin. Samples of The Botanist and Tanqueray finished off the tasting. Looking at gin’s history, it was amazing to hear of the great British Gin Craze and just how involved people were in gin production and consumption. Morning, midday, or night, people were constantly drunk on gin back then. While many other drinks were available back in 18th century, gin definitely caused the biggest concern. Following a seminar on the creation of Beefeater 24 it was time for a peek into domestic gin affairs. All the big boys were in attendance. Suntory’s founder’s great, great nephew, Kazuyuki Torii, a specialist in Suntory’s product development department, was there on behalf of Suntory Roku gin. Representing the Nikka Coffey gin was the great Tasashi Sakuma, Nikka’s master blender. 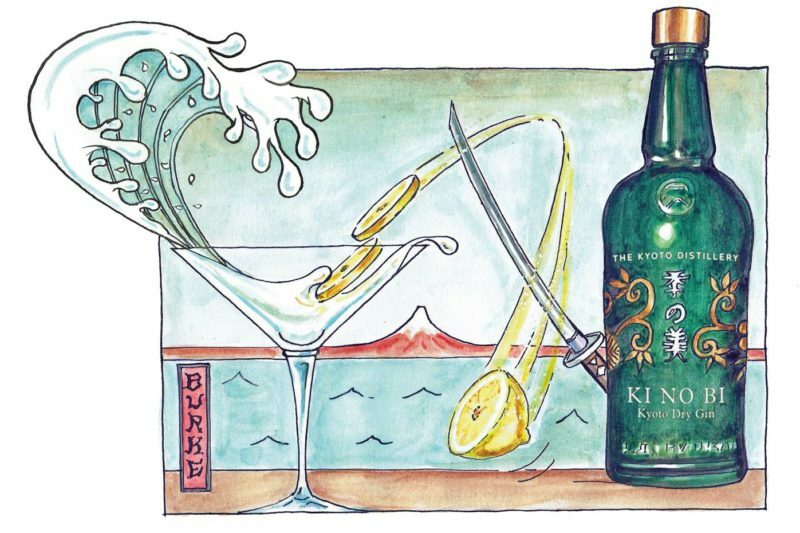 From the Kyoto Distillery, advisor Masami Onishi was there to discuss the Ki No Bi gin. Tomohiko Tanaka from Hombo Shuzo was there on behalf of the Wa Bi Gin. The seminar covered everything from annual botanical selection and flavour profiles to production and growth. Guests were run through the progress of Japanese gin since 2016 when the Ki No Bi kick-started Japan’s craft gin movement. Interesting fact, the spheres on the Wa Bi Gin label actually portray the botanicals found in the gin. Moving on to the tasting part of the event, bottles were opened to over 600 guests, a surprisingly high turn-out for the event’s first year. In addition to all the previously released domestic releases, guests had the chance to sample some highly exclusive bottlings. In addition to the classic Wa Bi gin by Hombo Shuzo, a Mars Wa Bi Juniper Strength edition was available for sampling. The release came in at 50% ABV and was made using only Juniper on its botanical list. A Wa Bi whisky cask-aged expression was one of the highlights of the event. Hombo Shuzo is clearly entering the gin industry dynamically. The recently released Kozue gin was available, as was the very special sake-based Wa gin by Meiri Shurui. For its first year, the event was a huge success and clearly portrayed the growing appreciation of Japanese gin. While 2017 saw a wide-open stage fill up with space for all the new Japanese gins to shine, 2018 will bring with it increased competition. Hopefully, this pushes distillers even further into experimentation and creativity, eventually bringing even better-rounded, exciting expressions to the market.